Search Results for "small aircraft"
Engine of small aircraft. Metal pipes and tubes. Plane engines for sale. Dashboard of small airplane. Controls in aircraft cockpit. How planes work. 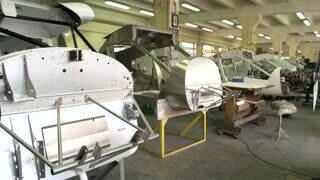 Airplane parts in workshop. Cockpit of small plane. 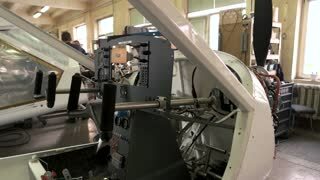 How is an aircraft built. 1960s: Small aircraft in sky. View from round cockpit window of aircraft down to landscape. Small aircraft lands quickly on runway. Pilot climbs ladder to cockpit. 1960s: Aircraft descends toward runway. 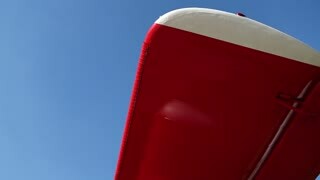 Small aircraft flies in sky. 1970s: People stand around small aircraft in the middle of landing strip, a van is parked near by. Sun rise. Men inspect aircraft. 1970s: People prepare NASA aircraft for flight test. 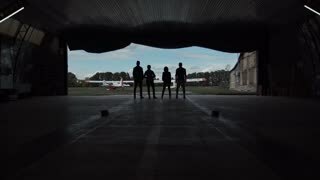 Three men inspect small aircraft. Man wears a hat and sunglasses. A screw is unfastened, hands take screw. A small aircraft flies close to a large flock of Canada geese. Collisions between large birds and aircraft (bird strikes) are a major aviation hazard. A small aircraft, appearing from behind a larger airplane, taxiing towards the runway at Stockholm Arlanda. Camera movement following the aircraft. 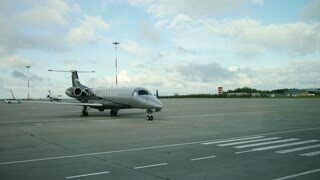 A small aircraft, appearing from behind a larger airplane, taxiing towards the runway at Stockholm Arlanda. 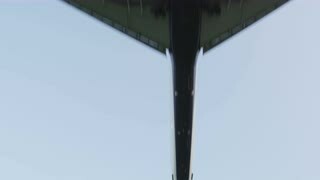 Camera movement following the aircraft. Filmed in realtime in UHD 4K. 1980s: A pilot drives his small aircraft down a runway. A plane pulls into an airport. A small plane flies off into the clouds. 1980s: Small aircraft parked at an airport. A man in a headset talks into his microphone from the control tower. A pilot operates the controls of a small plane as it flies. 1960s: Short take-off aircraft rises from runway. Small army aircraft in sky above runway. Research propeller aircraft in sky. Luxury life of businesspeople discussing inside business private jet. Business team in small aircraft cabin. Slow motion glidetrack shot. 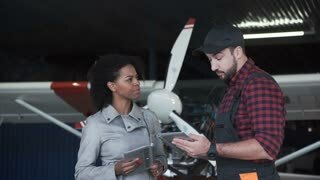 Male Scientist Talks Directly to Camera About the Research being Conducted On Board the Small Aircraft High Above the Gothenburg Archipelago. View from Inside a Small Aircraft Flying Missions Over the Gothenburg Archipelago. Scientists Record Data on Shipping Traffic and the Impact on the Oceans and Climate. Aerial footage of a small aircraft on a mountain runway in the jungles of Papua, Indonesia. 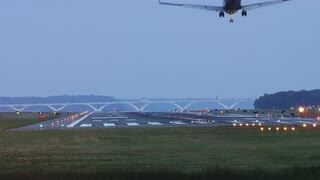 Close up of an airplane leaving the gates for the runway while a small aircraft takes off in the background. No camera movement. Filmed in realtime in UHD 4K. A small aircraft heading for the runway, disappearing behind a larger airplane at Stockholm Arlanda. No camera movement. Filmed in realtime in UHD 4K. 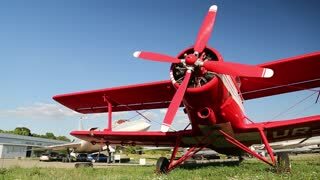 Pilot error in bad weather conditions leads to fatal small aircraft accidents in the 1950�s. 1990s: F-8 Crusader flies in the air, text "Digital Fly-By-Wire" on the aircraft. 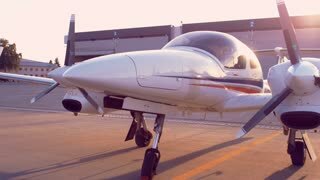 Aircraft with text "NASA 802" is driven by a small vehicle. Aircraft lands.